I’ve been calling Yorkshire my home for over a decade now. It’s the largest traditional county of England with lots of beautiful greenery, tourist attractions, national parks and historic sites. And because summer holiday is in full swing I thought it would be an appropriate and good idea to inspire you to some fun things to do in Yorkshire with kids. I’ve come up with a round up of some of the best places Yorkshire has to offer. Some of them we have visited, while others are still on our list. What a better place to spend a day out with the kids than at the seaside. Yorkshire has some great seaside resorts. I’ve visited most of them in my time here. Even though it’s not Mediterranean, the scenery and coastline are beautiful. Coming from a landlocked country, I love the fact that I can be near the coast in under an hour and a half of driving. 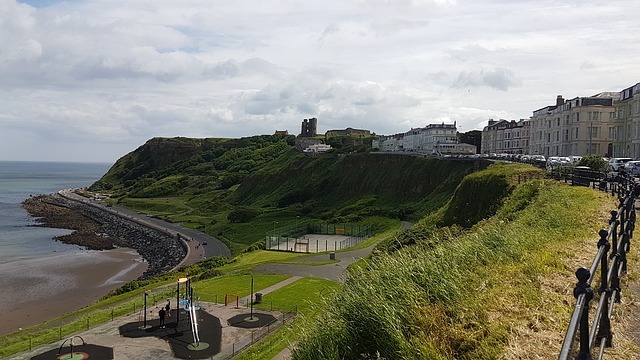 A recent visit to Scarborough with the little one just reminded me how wonderful and refreshing it feels to dig your feet into the sand and watch the waves come and go. Not everyone was so impressed at first though. My one year old looked a bit bewildered by this thing sticking to her feet and hands. But after a short while, she got more adventurous. It was a great day out, and I can’t wait to take her back to explore another Yorkshire seaside resort. There is just something to do for everyone in York, North Yorkshire. I visited the city on numerous occasions, and there is something about the city that makes you want to come back over and over again. I’ve been there with friends, family when they visited from Slovakia, and also with my baby last summer. 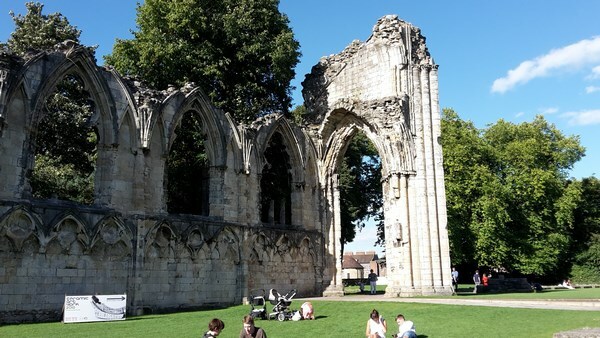 From the adults’ perspective, York is full of history, museums and galleries and not forgetting York Minster. You get really drawn into York’s bustling cafe bar and restaurant culture. On the other hand, kids get entertained as well. There are open bus tours, boat trips on River Ouse, you can walk along the city walls, or enjoy the greenery in many parks and gardens. Be warned though. There just isn’t enough hours in a day to experience everything York has to offer, so it’s probably a good idea to select few attractions you know you want to visit or book a room and stay overnight. What a fabulous place to spend a day out with your family. We visited last year when the little one couldn’t really appreciate it that much for obvious reasons. She was two months old, so she slept through the most part and was pretty oblivious to the fun us adults were having there. We knew that once she is older, we will have to take her back to York Maze in North Yorkshire. There are just so many activities for kids as well as adults. Let’s be honest. Summer in the UK isn’t exactly outstanding, to say the very least. So, when we do get the occasional hot days, why not spending them at Ilkley Lido? 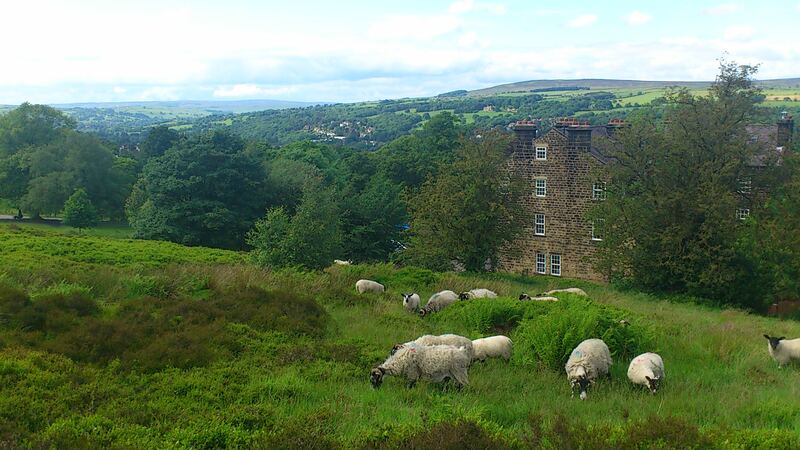 Situated near Ilkley Moor, West Yorkshire, it boasts outdoor as well as indoor pool and beautiful views of the countryside. The outdoor pool is only open during summer months and is unheated, so it’s perfect for those sizzling summer days when you want to cool down. Although, it might not be suitable for very young kids, as it might be a bit too cold for them. The heated indoor pool may be a better option for them. Other facilities include tennis and bowling. When you get hungry, you can make your own picnic or have a bite in the cafe. Located in Hull, East Yorkshire, The Deep is one of the best aquariums in the UK and home to over 3,500 creatures. These include tropical fish, sharks, rays, sea turtles, and even penguins. And who knows, you can maybe spot Nemo there as well. You’ll have a chance to touch real ice walls or go through a viewing tunnel and watch the fish and other marine creatures swim above your head. There is a soft play area for kids which is always a good thing. And to top it all off, you can then take a glass lift through the 10m tank back to the surface. The view from the cafe on the 3rd floor is pretty impressive too, overlooking river Humber. You can get an annual pass for £12.50 per adult, so if you can visit at least a couple of times a year, it’s money well spent. If you are planning a great family walk, then Bolton Abbey, North Yorkshire, is the ideal place. The walk along the river is perfect, not too demanding, even for the little feet of your kids. 80 miles worth of footpaths will give you plenty of opportunities to discover the charming surroundings. You can also visit the ruins of Priory, which is beautifully overlooking the river. This place is not like your typical zoo. 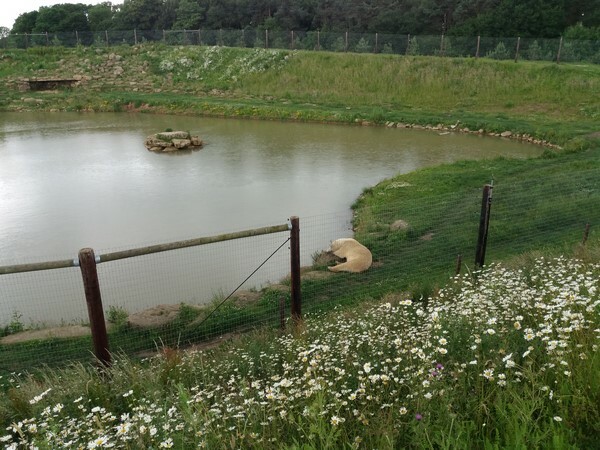 The animals have a lot more open space; their enclosures are pretty large. You can observe 70 different species of animals (over 400 animals in total), including lions, tigers, polar bears, giraffes, rhinos, just to name a few. 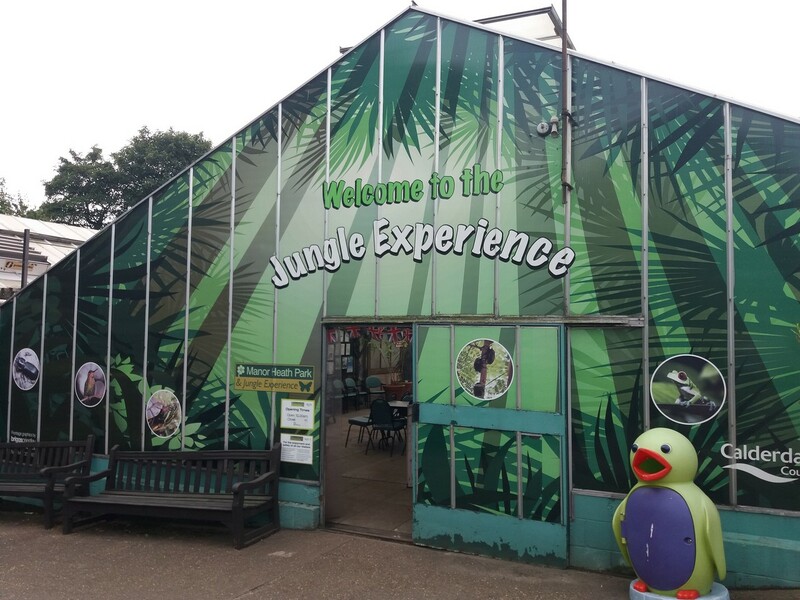 I’m not going into any more detail, as I’ve previously written a review of Yorkshire Wildlife Park, South Yorkshire, which you can read here. If the idea of taking your kids to a museum doesn’t sound too exciting, it’s time to reconsider that. How about visiting Eureka! The National Children’s Museum in Halifax, West Yorkshire? This museum is educational like any other museum out there, but it’s designed in a way that’s fun for kids, full of interactive play and discovery. Forget about the museum where you see the exhibits behind the glass cabinet, and you are not allowed to touch anything. Here, you will find six different zones, teaching children about their bodies, themselves and the world around them in an entirely interactive way. Everything is arranged at children’s height; they can touch, push, press, feel, it’s highly attractive to their eyes. This museum won’t disappoint your little ones, as it’s just so child-friendly. Again, same as with The Deep, it’s great value for money if you can visit at least a couple of times a year. At £12.95 for an adult, it’s quite expensive for a museum entry, but you get an annual pass once you pay this fee. So, if you live locally, or will be visiting Yorkshire in the next twelve months again, then Eureka! is a place to visit. If you are in Leeds, West Yorkshire, and want to escape the hustle and bustle of the city, then I’d recommend a visit to Roundhay Park . 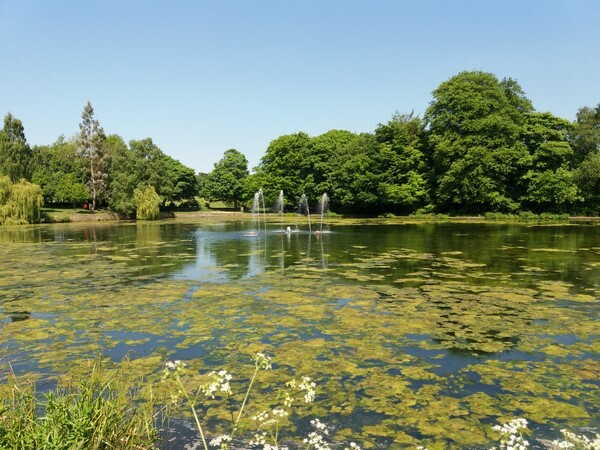 It’s one of the largest city parks in Europe, covering 700 acres of parkland, woodland and lakes. You can easily spend the whole day exploring different parts of the park. 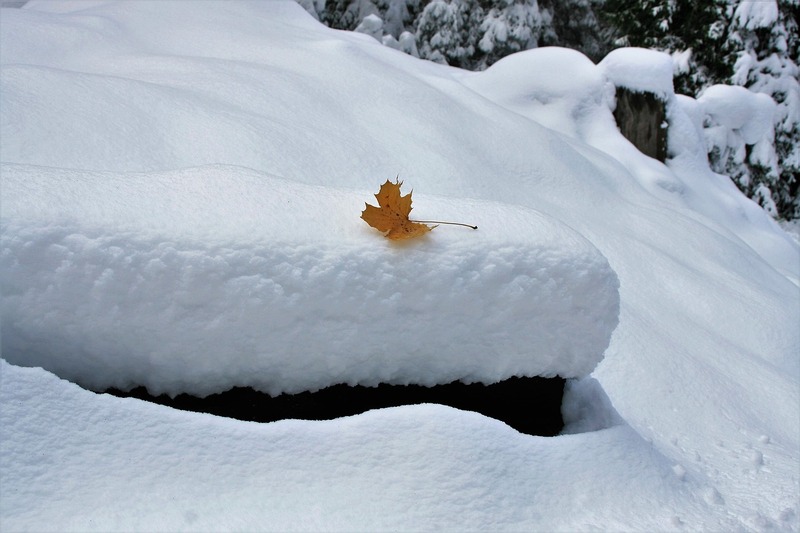 On sunny days, the park is usually very busy. Families can enjoy a picnic, stroll around a lake, have a drink in a cafe overlooking the lake or visit Tropical World. As the name suggests, be prepared for some tropical heat when you visit this place. 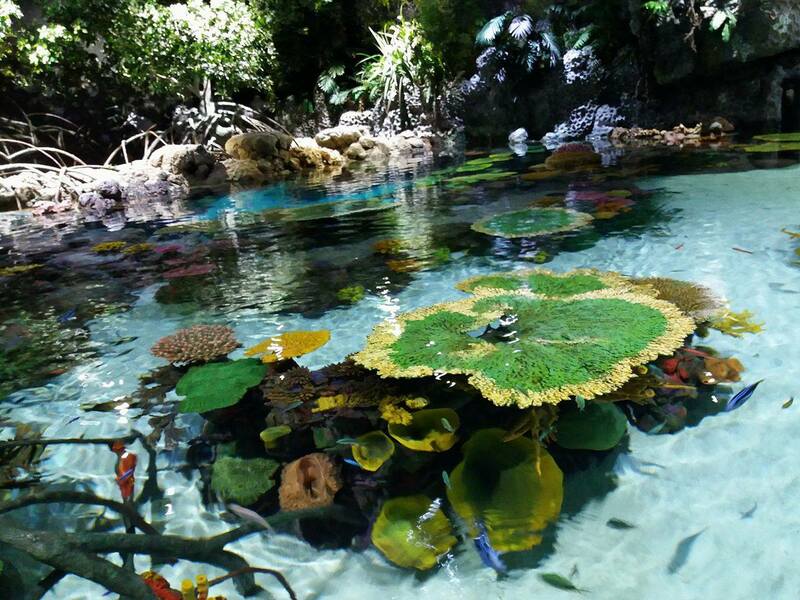 You’ll find several different areas, including desert, rainforest, waterfall, butterfly house or aquarium. Each is home to a variety of creatures. If you are after a fun packed day, then Flamingo Land is the place to visit. Located near Malton, North Yorkshire, it’s a combination of theme park, zoo and holiday resort, if you want to stay more than just a day. The theme park offers something for everyone. If you are like me (the higher, faster, more heart-pounding and exhilarating ride, the better), you will certainly love the eight intense rides. Or if you are anything like my other half (slow and as close to the ground ride as possible) then you and your children will enjoy the numerous rides designed for families and kids. The zoo is home to a variety of animals, including birds, farm animals, mammals and reptiles. You can also experience free keeper talks, and daytime shows to learn more about the animals. The last on my list has to be York’s Chocolate Story. I don’t think there’s a child who wouldn’t enjoy this guided tour about the history of chocolate making in York. With chocolate making and, oh yes, chocolate sampling on the agenda, there is a high chance that kids will be happily occupied and entertained and in fact, will beg you to stay a bit longer. You should really incorporate this into your day out in York. Have you been to any of these places? Has this list inspired you to visit some of them? I’d love to hear about it. Well done on posting a great review on Yorkshire and who does’nt like what this great area has to offer. I was watching a documentary on Channel4 recently on this area and how its community are so very proud of where they live. Even just looking at the images on your post is a pretty good endorsement of what is to see and do in this great scenic tourist destination. Yorkshire really is a fantastic place to visit, and in fact, to live. The possibilities for days out are endless. Thank you for stopping by. Hello Zuzana. I live right next door in Lancashire and have already visited a few of the places you have mentioned, Bolton Abbey being the most recent. As I only live an hours drive away from the Yorkshire border, I have always promised myself to explore the area more and your list has given me some great ideas. I have visited York city many years ago as a child, but didn’t know it had a maze. Is this a new tourist attraction or has the maze been part of the city for a long time? I’m so glad you’ve found my post useful. 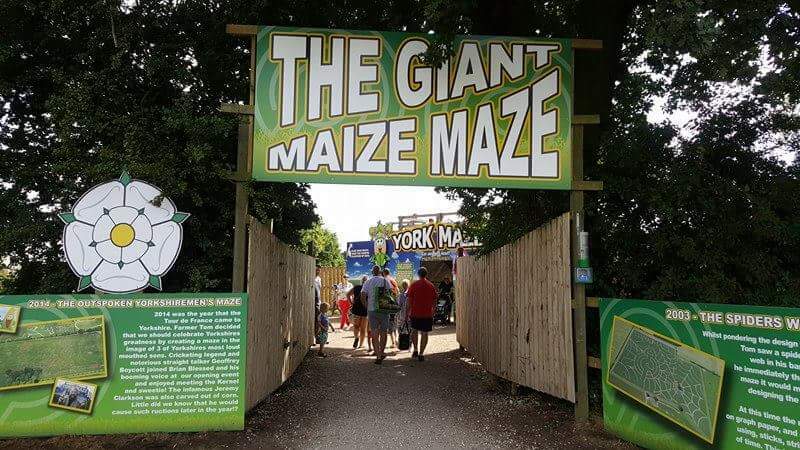 I’ve been to York many times over the past years but I also had no idea there was a maze. I only discovered it last year but as far as I can tell it’s been there for a number of years. Great family attraction, definitely worth a visit. I enjoyed your post. Yorkshire sounds like a great place to visit with its beautiful greenery landscape and history. I would enjoy going to the museums and a walk along side the river. All the locations sounded so inviting and you did a great job explaining its specific activities. The price doesn’t sound too pricey but then I don’t know what that would be in American dollars. I clicked on your site and there are so many beautiful places especially the country side. Yorkshire really is a beautiful county, with so many different places to explore. You should definitely visit if you come to the UK in the future. I’m sure, you’ll find many museums that are really affordable to visit, there are even some museums with free entry.